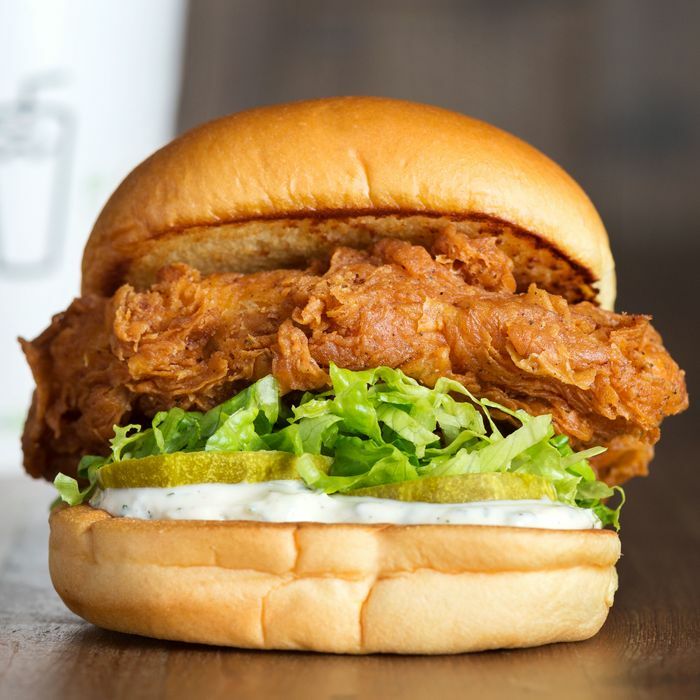 Danny Meyer’s ChickenShack is made with fried chicken that’s “all-natural” and antibiotic-free, and it also includes lettuce, pickles, and buttermilk-herb mayo. It costs $6.29, which is less than both a $7.99 double Shackburger and the $6.99 ‘Shroom Burger. The three Brooklyn locations all open at 11 a.m., so consider heading over to line up now.